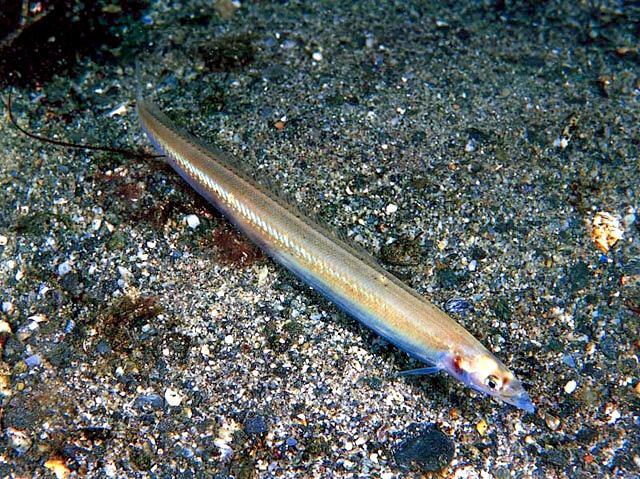 The Sand Eel is a common small eel-like fish which swim in large shoals. 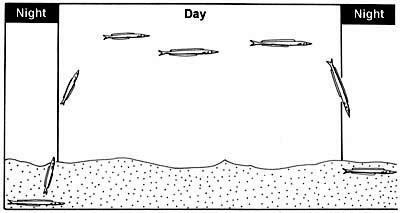 In April, Sand Eels swim into shallower waters. 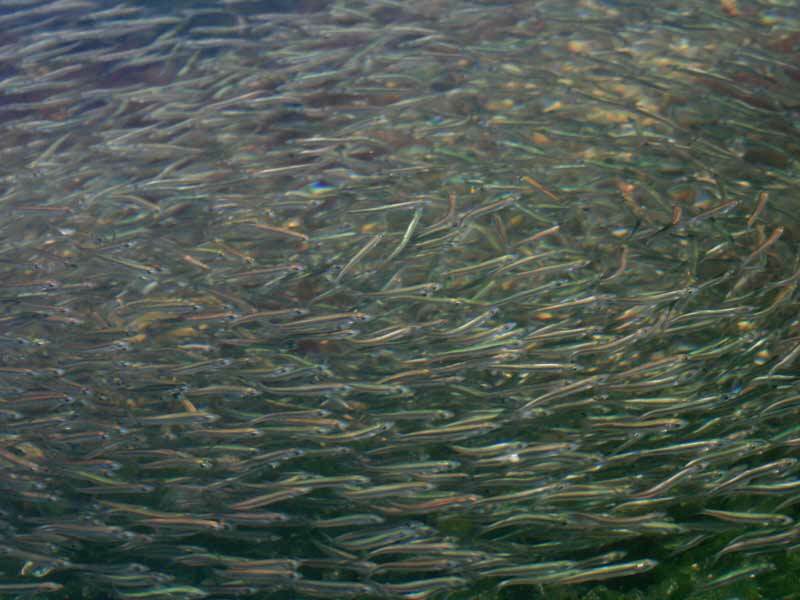 Sand Eels are an abundant & important component of food webs in the North Atlantic Ocean. They also support the largest fishery in the North Sea, with recent annual landings in the last decade of around a million tons. 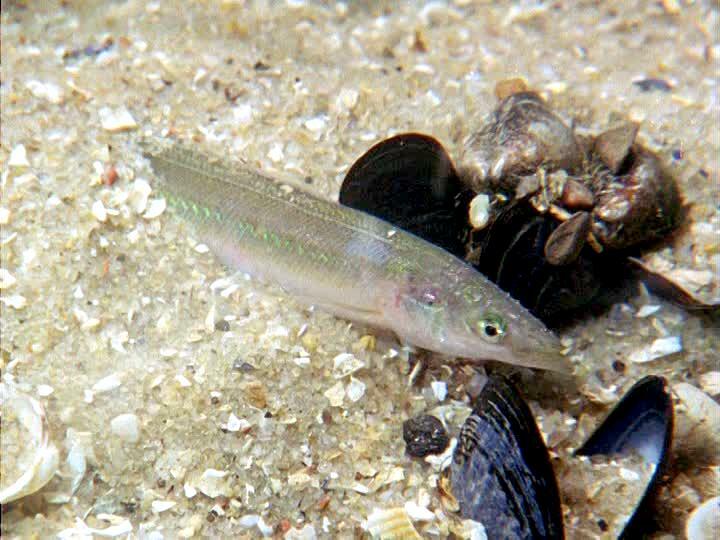 During the active feeding season (April-September), Sand Eels tend to emerge during daylight hours to forage close to their burrows. 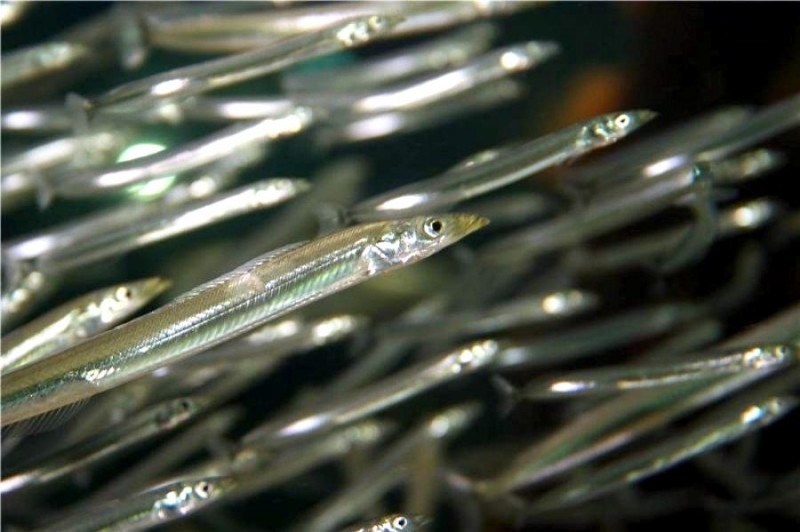 Their main prey is calanoid copepods, but other planktonic prey including fish larvae, are also taken. 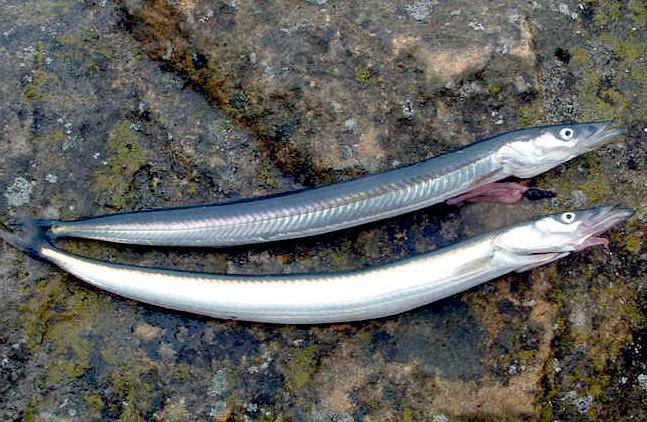 Large Sand Eels may also take benthic prey such as polychaete worms. 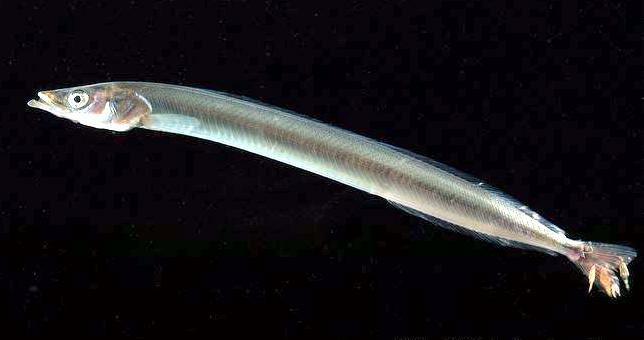 During the summer, they live either alone or in large shoals above sandy bottoms down to 10 or 20 meters. 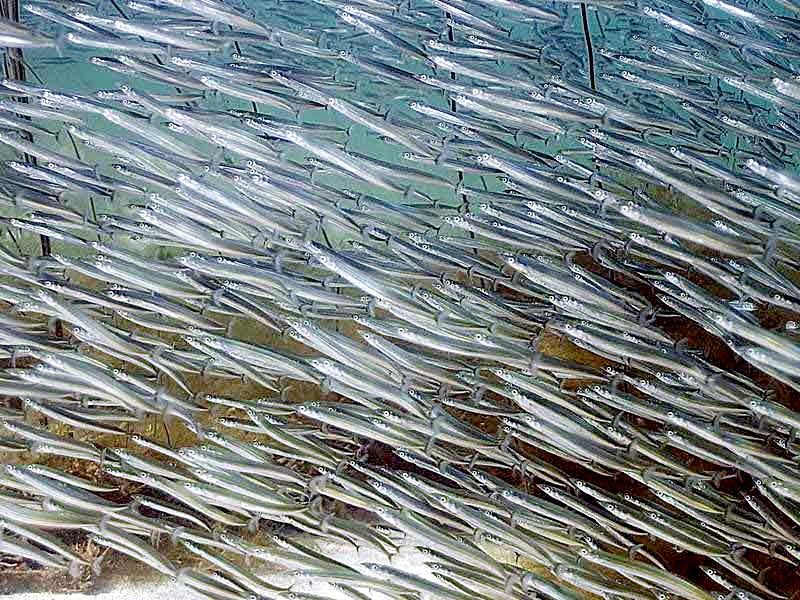 During the night, cloudy days or in the morning, the shoals depart to shallower waters to find food among the seaweed. 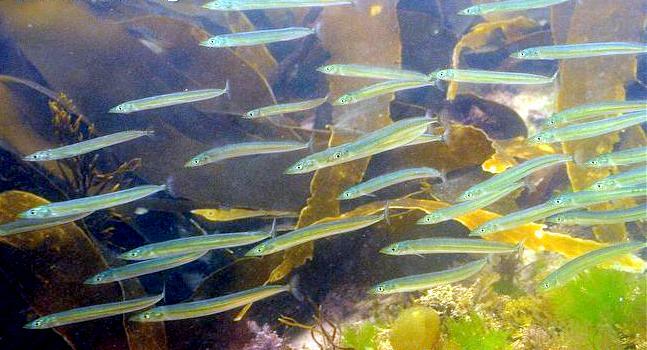 Sand Eels eat different types of plankton, like fish spawn & eggs and bottom living creatures like small crustaceans & polychaetes. 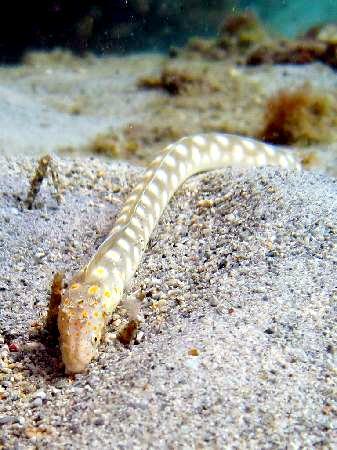 In November, they depart to deeper waters where they spend the winter in large shoals or dug down into the bottom sediment. 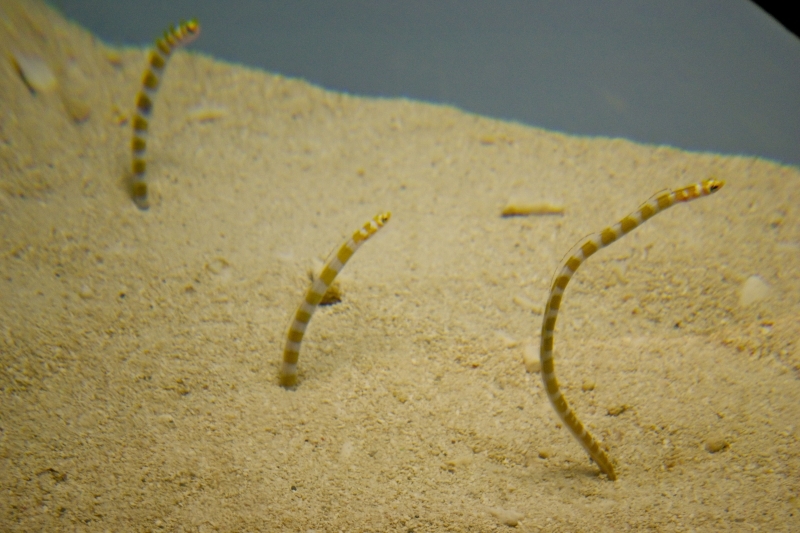 Most of the time, the Sand Eels are dug down into the bottom. 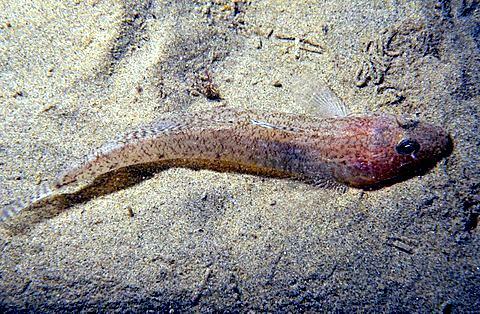 They dive head first into the sand and disappear completely, sometimes as deep down as 50 centimeters. 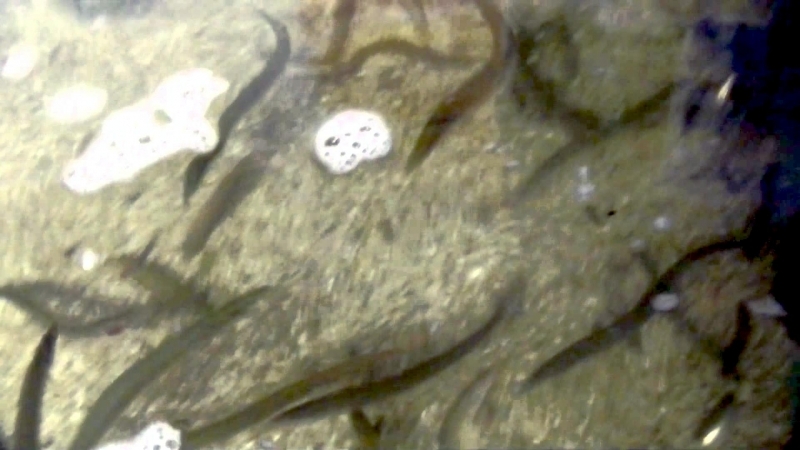 Sand Eels play on sand bottoms at different times depending on the specie. 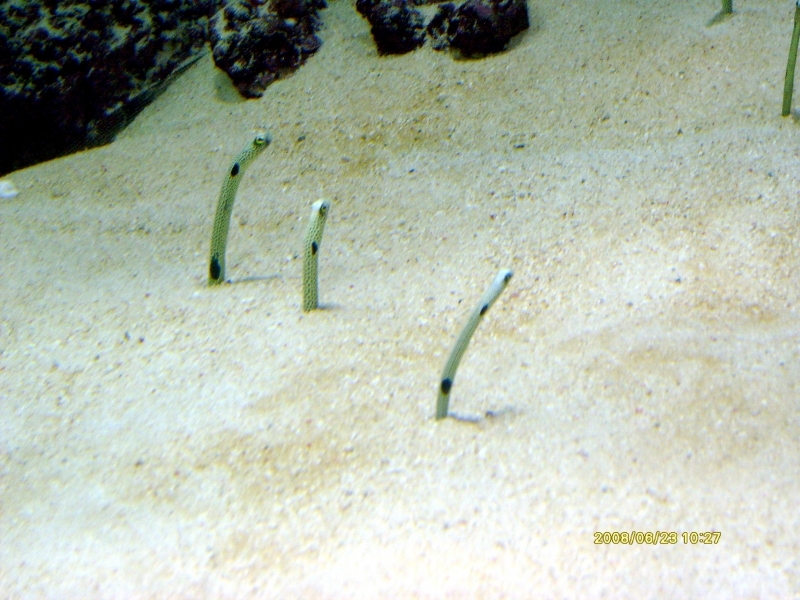 The eggs up to 30,000 per female, are layed in the sand where they stick to the grains of sand. 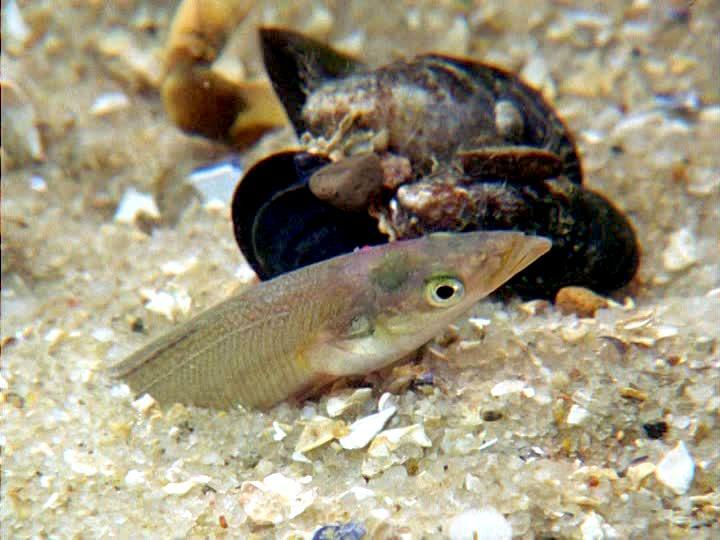 Normally, the eggs hatch after a few weeks, but some eggs get covered by sand before they are fully developed. 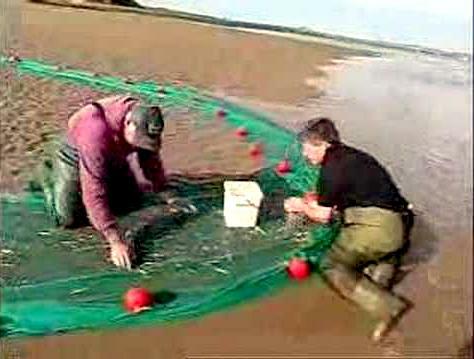 Development of these eggs stops and they lay in the sand in a sort of hibernation. Eventually the eggs whirls up again and development continues. 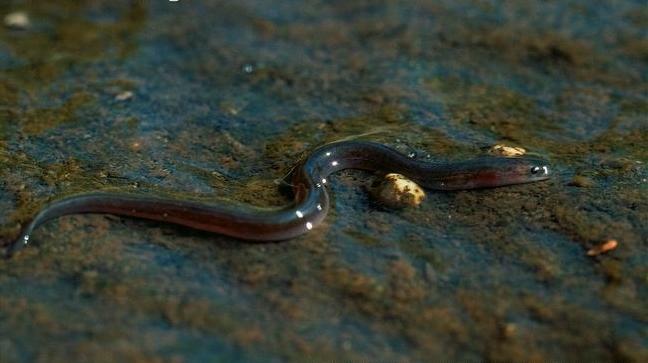 In this way, new larvae are hatched over a period of several months. 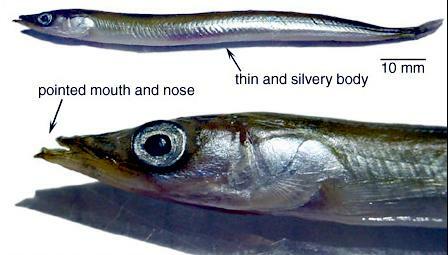 Larvae & spawn are pelagic, they live in the open water. 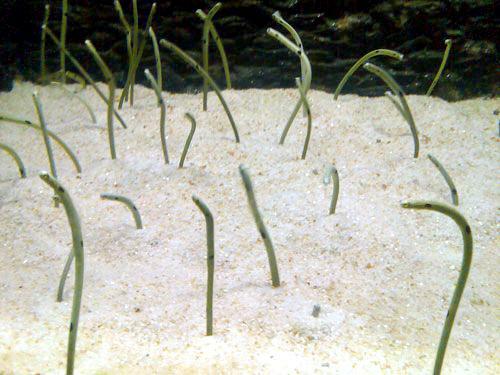 Sand Eels become sexually mature at between 1-2 years and live for between 4-5 years. 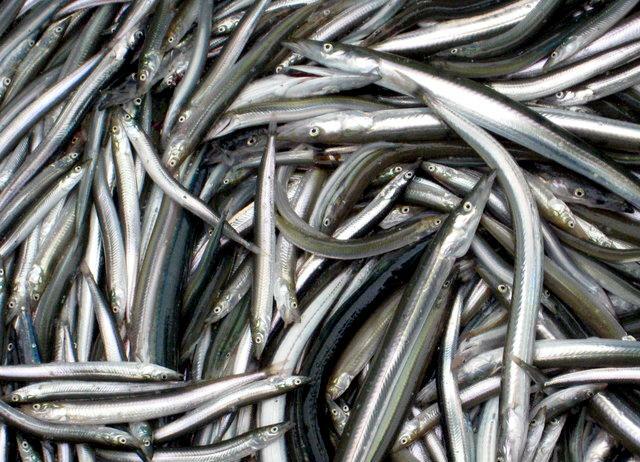 Sand Eels are an important source of food for other fish, seabirds & marine mammals. 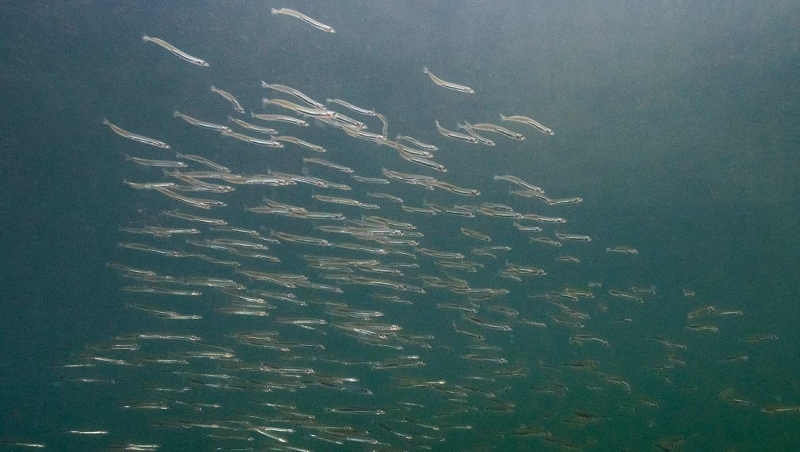 Sand Eels mature by age 3 and spawn a single batch of eggs in December-January, several months after ceasing to feed. 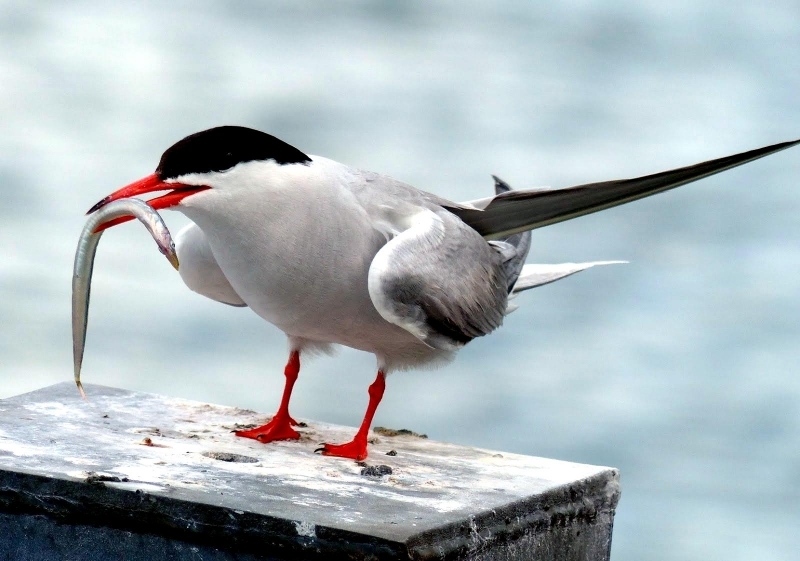 The eggs are deposited on the seabed. 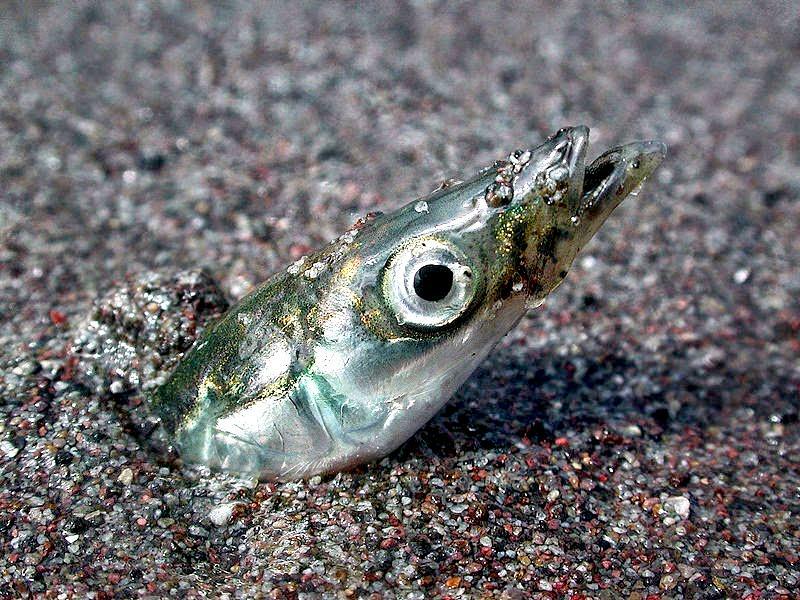 The larvae hatch after several weeks, usually in February-March and drift in the currents for 1 to 3 months, after which they settle on the sandy seabed. 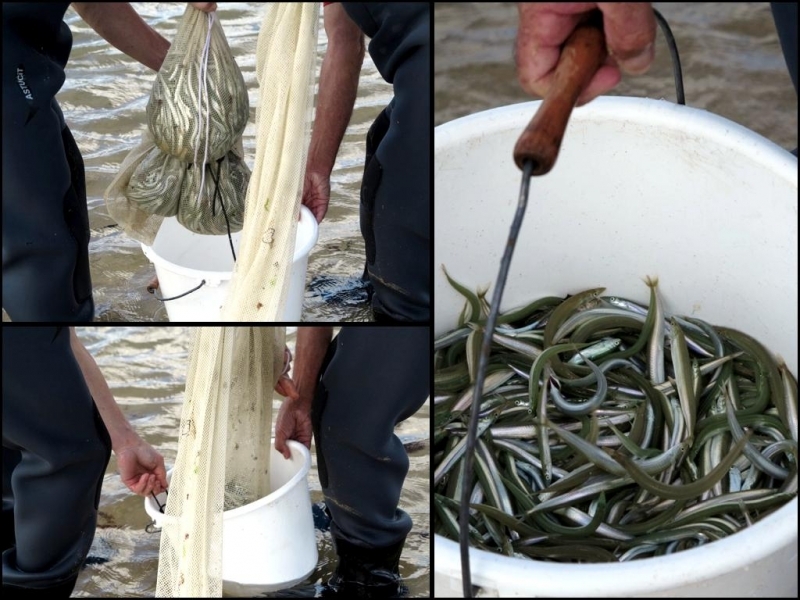 Sand Eels have even an economic value in the production of fish meal & fish oil. 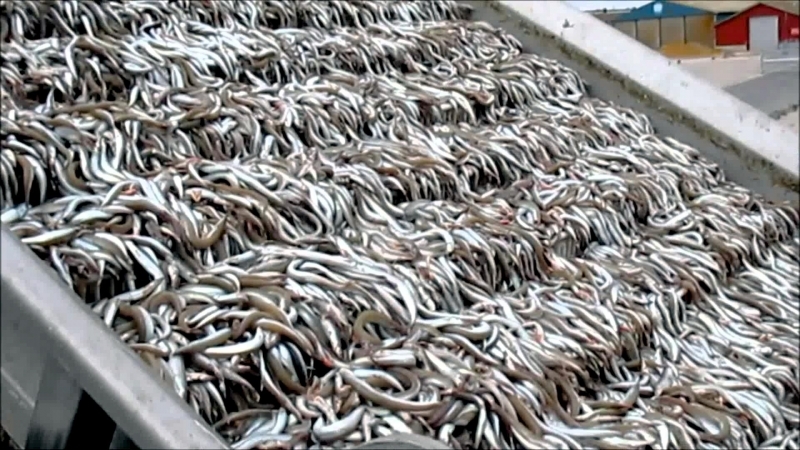 This type of factory fishing started during the seventies and is pursued by mainly Danish and Norwegian fleets in the North Sea using finely meshed trawls in the spring & summer. 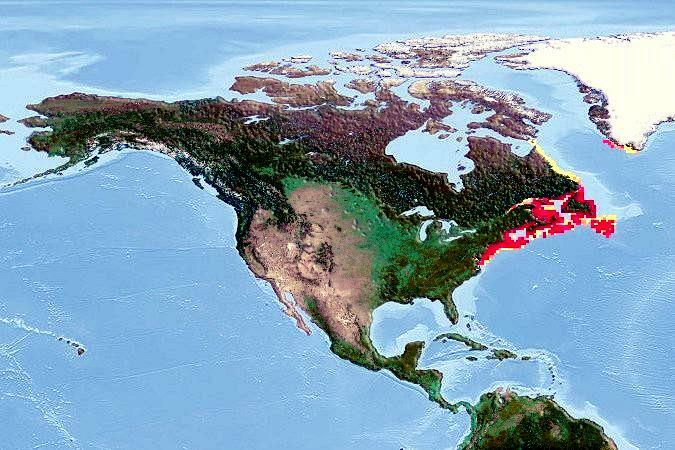 North Sea production has annually grossed between 400,000 to1,000,000 tons since mid-1970’s. 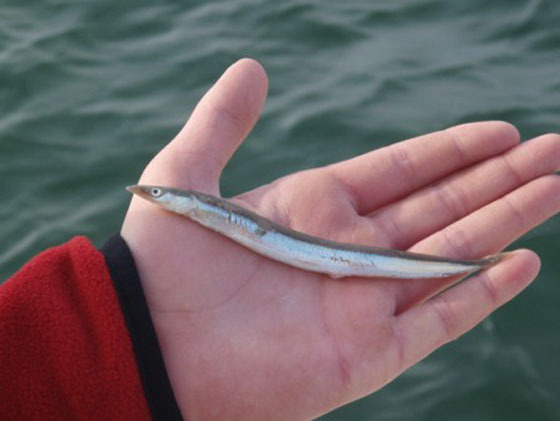 Because the average weight of a Sand Eel is about 10 grams, it would entail that about 100 billion individuals are caught during a good year. 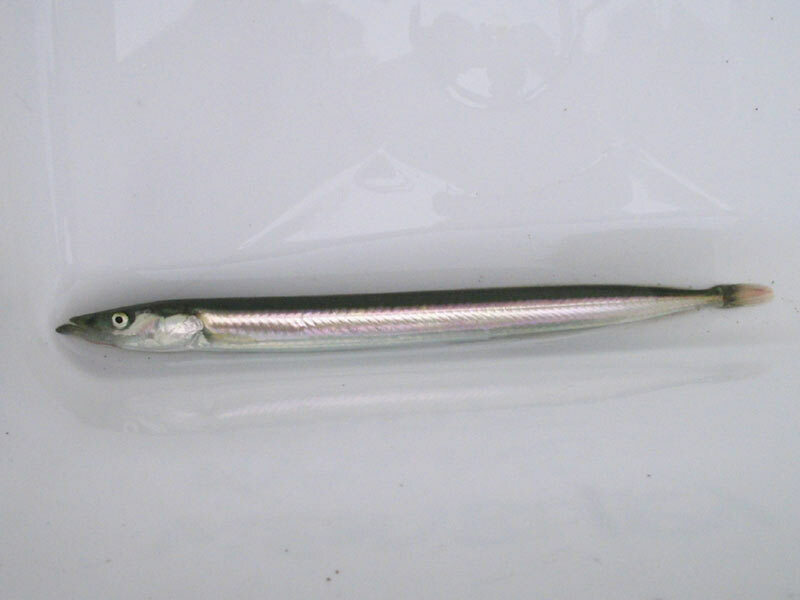 Sand Eels are also used as fishing bait. 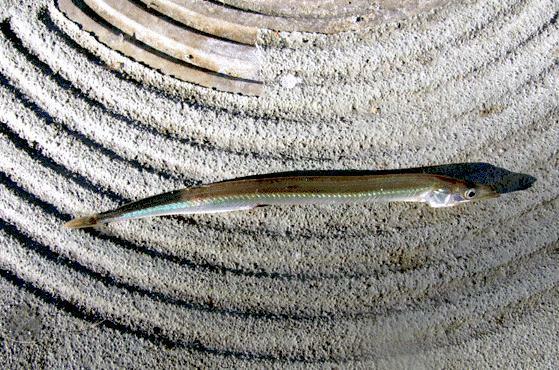 Sand Eels are comparatively short-lived with a life span of less than 10 years. They settle after their planktonic phase, at around 4-5 centimeters length and may reach 5-10 centimeters length within 3 months of hatching. 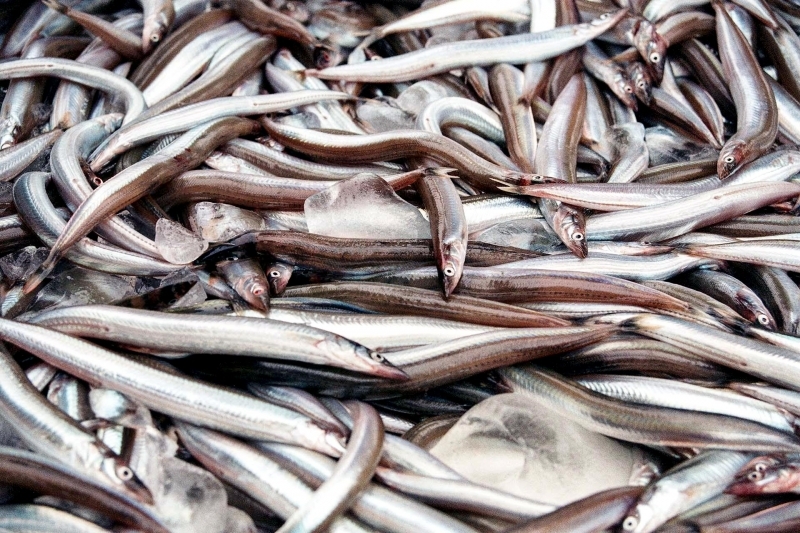 The magnitude of the fishery has led to concern over the potential consequences of Sand Eel harvesting on the North Sea marine ecosystem. In the North Sea, fishing mortality is lower than natural mortality. 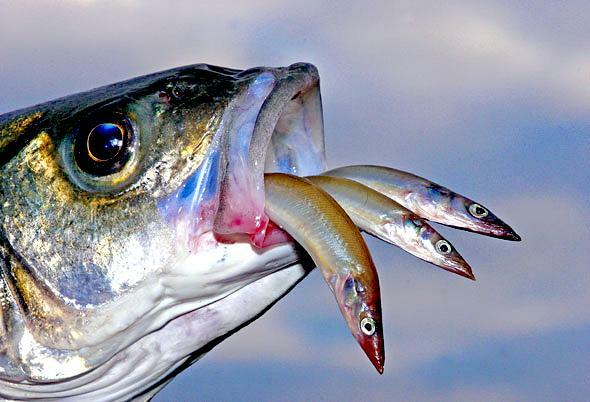 Multi-species analyses have shown that, within the scale of the North Sea region under these conditions, the predators do not suffer a lack of food. 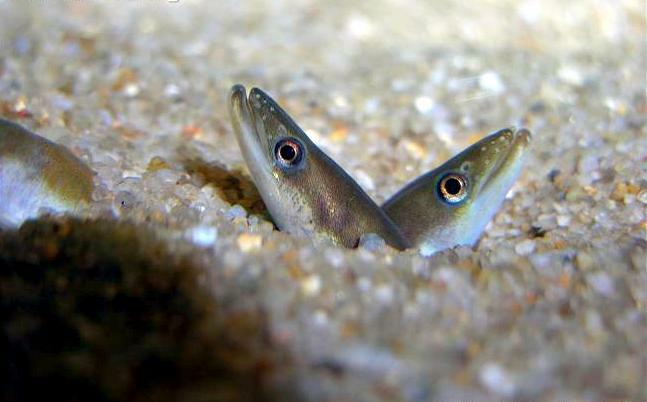 Sand Eels have a close association with sandy substrates into which they burrow. 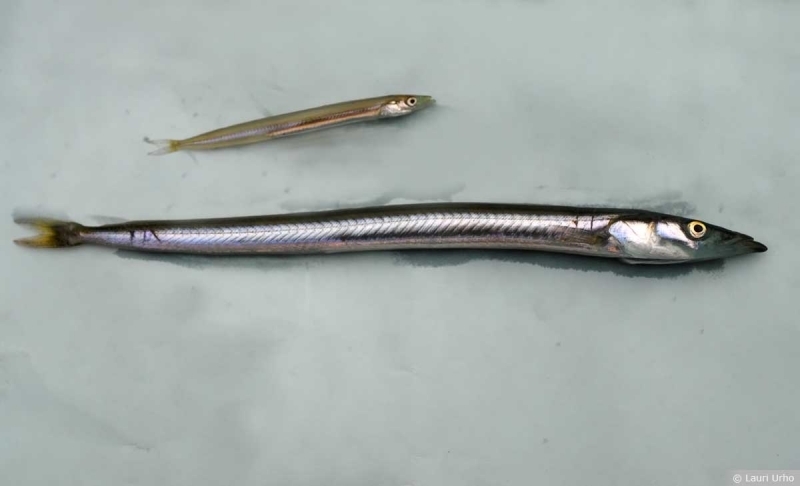 Observations on the availability of Sand Eels to fisheries and their occurrence in sediment suggests that this species rarely emerges from the seabed between September & March, except in December & January when they spawn. 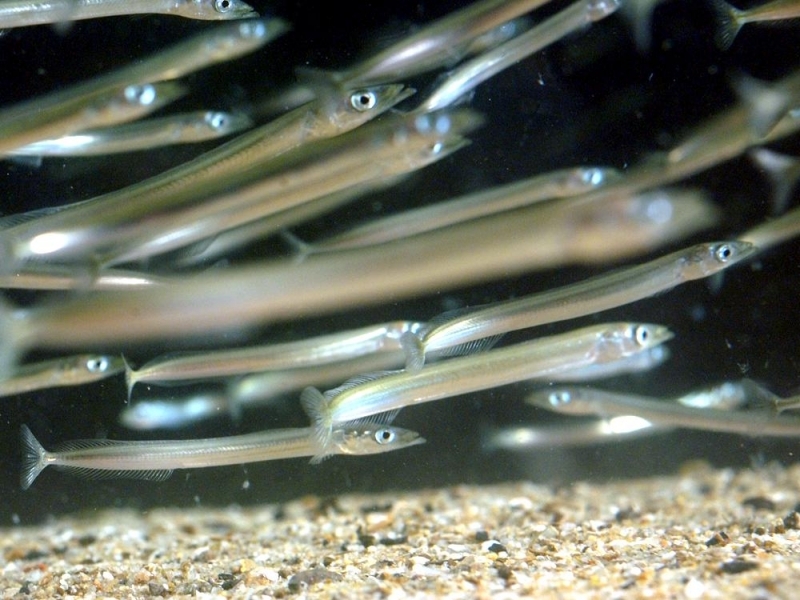 Research by Marine Scotland Science has shown that Sand Eels live in specific types of sand. 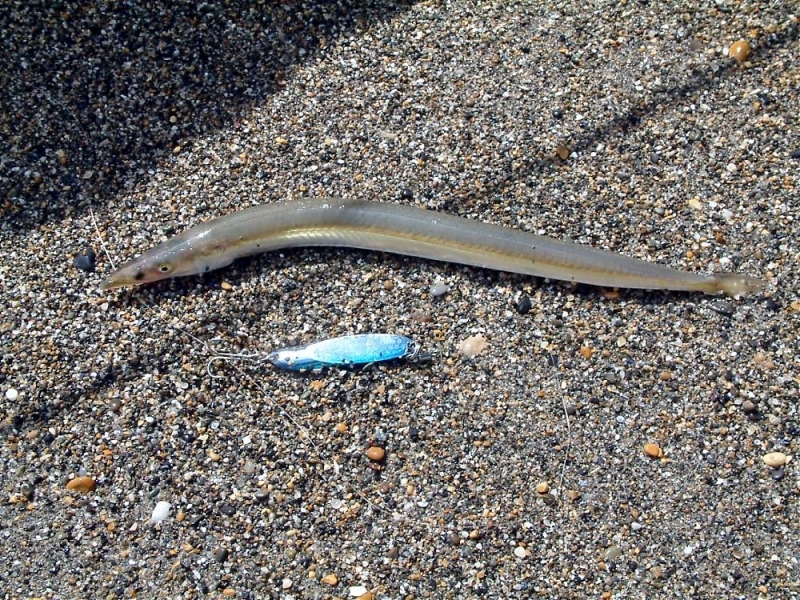 Tagging studies have indicated that Sand Eels remain in preferred sandy areas. 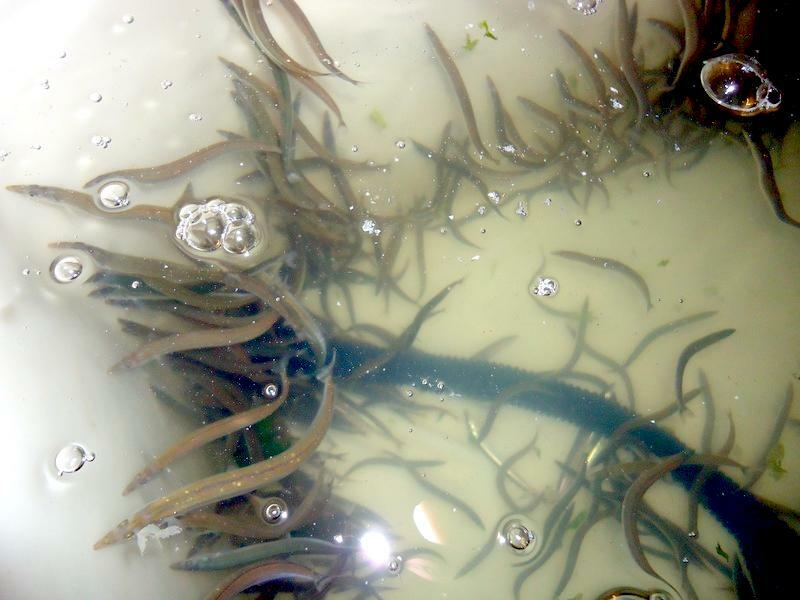 This dependence on sandy sediments means that the distribution of juvenile & adult Sand Eels is restricted by the patchiness of their preferred sandy habitat.